Introducing Motorola’s newest additions to the license free market, the XT460 which replaces the XTNI D, for business and everyday use. This radio offers a range of approximately 9km, depending on terrain. 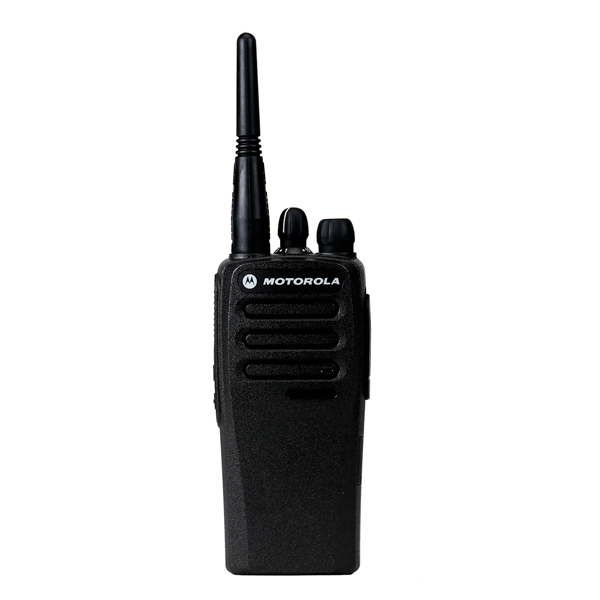 The Motorola XT420& XT460 radios follow on from the highly successful XTNI and XTNI D, taking professional unlicensed radio to a new level. 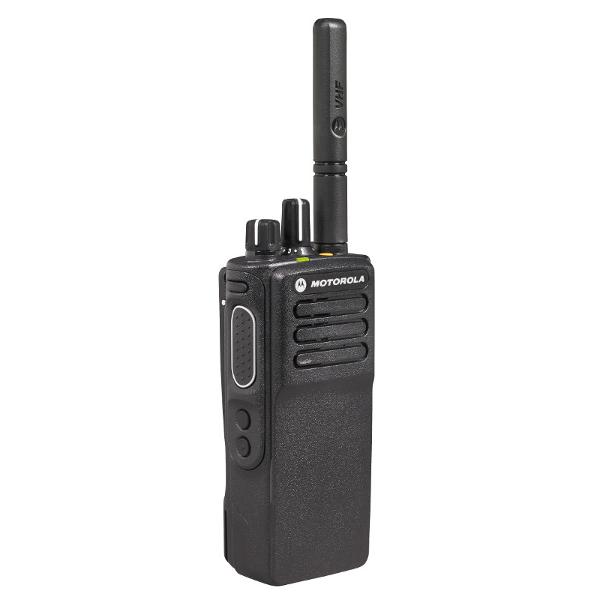 Built to Military specification & IP55, its the most rugged & robust radio in its class. 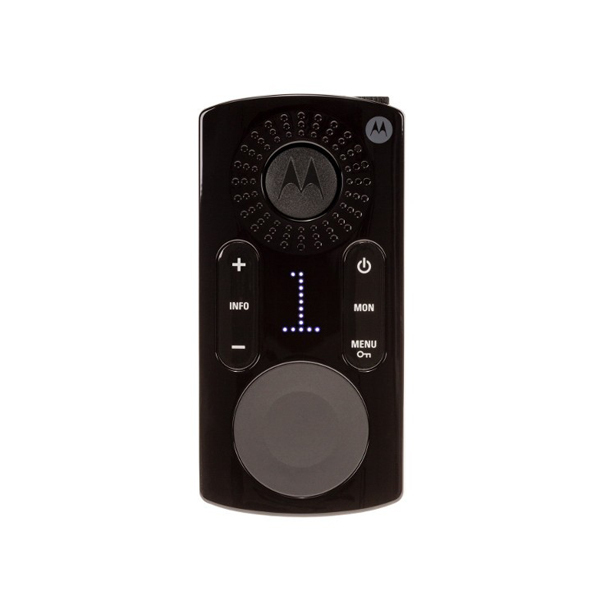 Both radios deliver a loud and clear audio output. The XT460 offers a display screen. Introducing Motorola's newest additions to the license free market, the XT420 for business and every day use. This radio offers a range of approximately 9 km depending on the terrain. This radio follows from the highly successful XTNI, taking professional unlicensed radio to a new level. Built to military specification and IP55, it is most rugged and robust radio in its class. An antibacterial coating has been added to the XT400 series to prevent germs growth when used by different workers. With this dynamic evolution of MOTOTRBOTM digital two-way radios, you're smarter, better connected and more productive. The SL4000e Series is designed for manager who needs complete control. With a slim and light form factor incorporating high performance integrated voice and data, these next-generation radios deliver smart connectivity to your organisation. 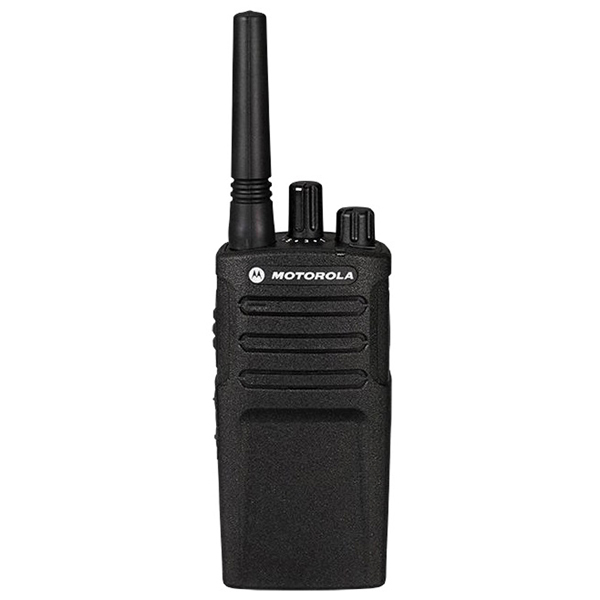 The MOTOTRBO SL4000e Series is a family of ETSI DMR Standards compliant slim and light portable radios that connects you with sophistication. Pocket- sized and with a smooth outline, the radios feature a full keypad and five-line colour screen with customisable display schemes. A built-in vibrate function alerts you quietly when you need to be discreet, and a comprehensive range of audio accessories allows you to stay connected without disturbing your customers. With a clear user interface designed to support productivity applications such as Work Order Ticketing, the SL4000e Series helps your staff make the most of their work day. Voice Announcement and Text-to-Speech features allow you to monitor radio settings and text communications hands-free, and sophisticated scan functions keep you in touch with many teams at once. With integrated voice and data, the SL4000e Series delivers operation-critical connectivity. Bluetooth lets you talk without wires, while also enabling precise indoor location-tracking. Powerful audio and advanced noise cancellation ensure your call is heard, even in noisy environments, and 280-character text messaging simplifies complex communications. Integrated Wi-Fi enables remote software updates. 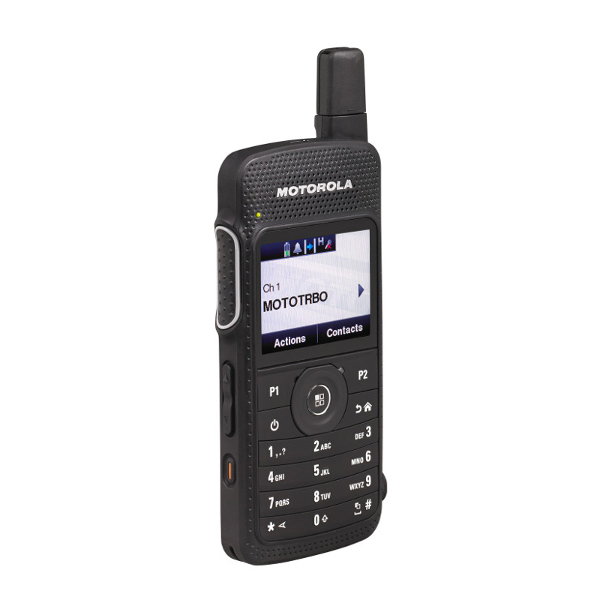 Launched in November 2014 the MOTOTRBO™ SL1600 provides reliable push-to-talk communication for the mobile, everyday user in an ultra-slim and rugged profile. Whether you're working in the field or at a black-tie event, the SL1600 is boldly designed to keep you efficiently connected. With this dynamic evolution of MOTOTRBO™ digital two-way radios, you’re better connected, safer and more efficient. 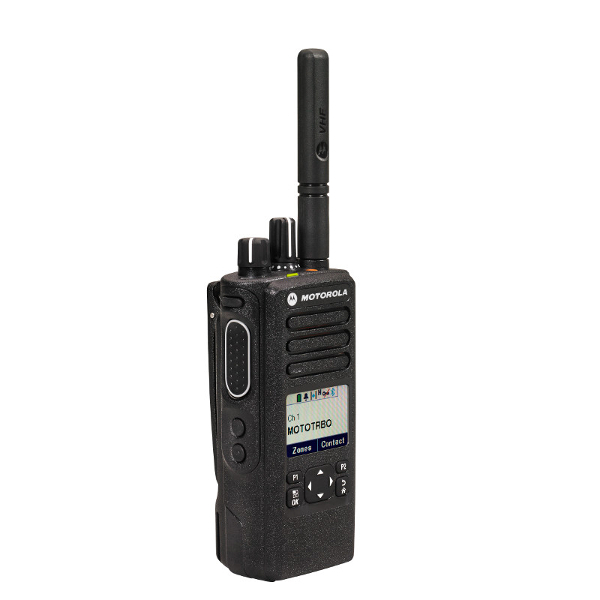 The DP4000e Series is designed for the skilled professional who needs effective communications. With high-performance integrated voice and data, and advanced features for efficient operation, these next-generation radios deliver complete connectivity to your organisation. 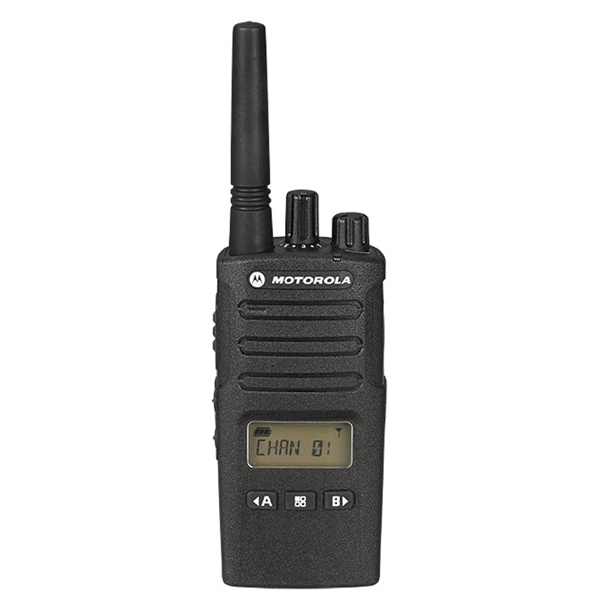 The MOTOTRBO DP4000e Series is a family of ETSI DMR Standards compliant digital radios that delivers operation-critical voice and data communications. The DP4801e offers Bluetooth audio that lets you talk without wires, integrated Wi-Fi enables remote software upgrades and indoor and outdoor location- tracking capabilities give you total visibility of your resources. With support for trunking as well as legacy analogue technology, you can keep your organisation connected as it grows. Safeguard your staff with responsive push-to-talk technology. The prominent orange emergency button on DP4000e Series radios summons help with one touch, using Transmit Interrupt to clear a channel when necessary. An integrated accelerometer senses if you’ve fallen and can automatically call for assistance (DP4401e, DP4601e, DP4801e). The radio is tested to tough military standards and is waterproof to IP68. It won’t let you down. 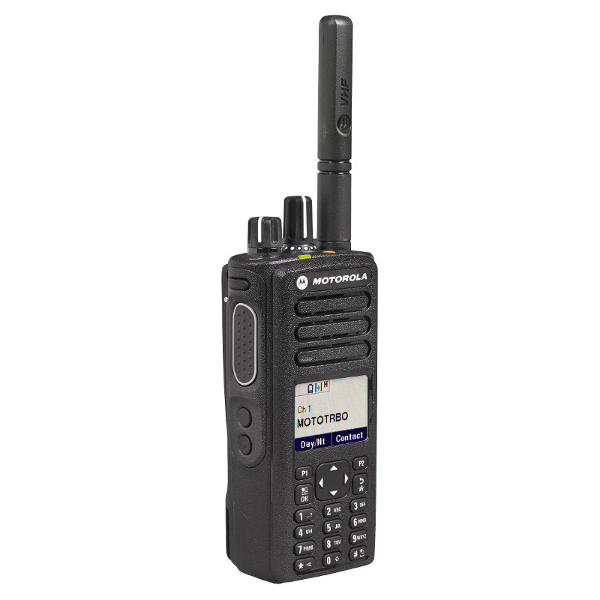 The MOTOTRBO DP4000e Series is a family of ETSI DMR Standards compliant digital radios that delivers operation-critical voice and data communications. Featuring a powerful audio amplifier, these radios deliver loud, clear speech, with industrial noise cancellation for better intelligibility. The latest energy technology delivers up to 28 hours of battery life for 3-shift working, and an improved receiver boosts range by up to 8%. Safeguard your staff with responsive push-to-talk technology. The prominent orange emergency button on DP4000e Series radios summons help with one touch, using Transmit Interrupt to clear a channel when necessary. The radio is tested to tough military standards and is waterproof to IP68. It won’t let you down. 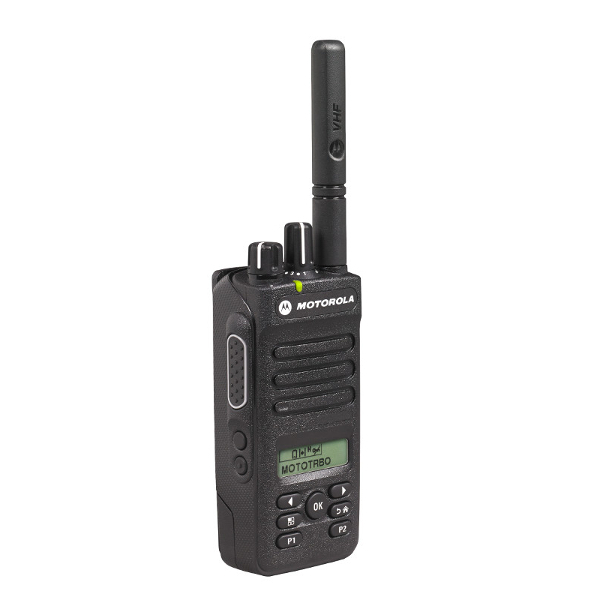 The MOTOTRBO DP4000e Series is a family of ETSI DMR Standards compliant digital radios that delivers operation-critical voice and data communications. The DP4601e offers Bluetooth audio that lets you talk without wires, integrated Wi-Fi enables remote software upgrades and indoor and outdoor location- tracking capabilities give you total visibility of your resources. With support for trunking as well as legacy analogue technology, you can keep your organisation connected as it grows. The MOTOTRBO DP4000e Series is a family of ETSI DMR Standards compliant digital radios that delivers operation-critical voice and data communications. With support for trunking as well as legacy analogue technology, you can keep your organisation connected as it grows. 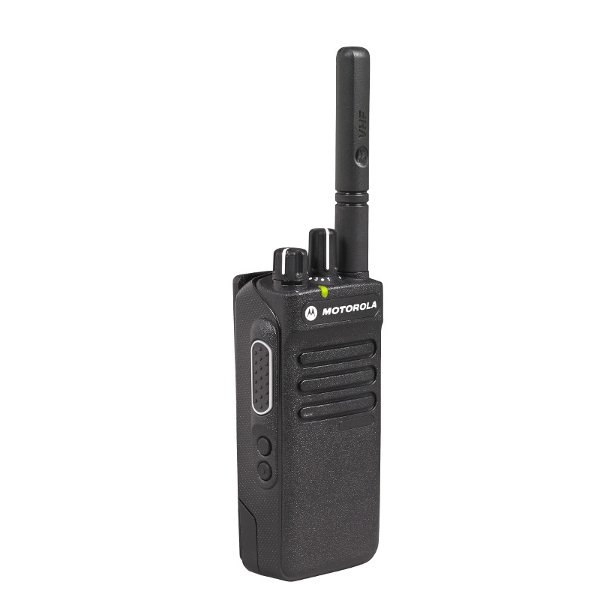 The MOTOTRBO DP4000e Series is a family of ETSI DMR Standards compliant digital radios that delivers operation-critical voice and data communications. The DP4401e offers Bluetooth audio that lets you talk without wires, integrated Wi-Fi enables remote software upgrades and indoor and outdoor location- tracking capabilities give you total visibility of your resources. With support for trunking as well as legacy analogue technology, you can keep your organisation connected as it grows. With this dynamic evolution of MOTOTRBOTM digital two-way radios, you're more agile, better connected and safer. The DP3441e is an upgrade to the DP3441, very small, light but robust and powerful. Designed for the mobile professional who needs effective communications. With a compact design and high-performance integrated voice and data, these next-generation radios deliver comprehensive connectivity to your organisation. The DP3441e is a tough and compact ETSI DMR Standards compliant digital radio. Its small form factor makes it conveniently portable, with an efficient short antenna that won’t get in your way. It’s tested to military standards for extreme ruggedness and is rated IP68 for almost complete immunity to dust and water. It won’t let you down even in harsh environments. Safeguard your staff with responsive push-to-talk technology. The prominent orange emergency button on the DP3441e summons help with one touch, using Transmit Interrupt to clear a channel when necessary. An integrated accelerometer senses if you’ve fallen and can automatically call for assistance. The DP3441e delivers operation-critical voice and data. Bluetooth® audio lets you talk without wires, integrated Wi-Fi enables remote software updates and indoor and outdoor location-tracking capabilities give you total visibility of your resources. With support for trunking as well as legacy analogue technology, you can keep your organisation connected as it grows. 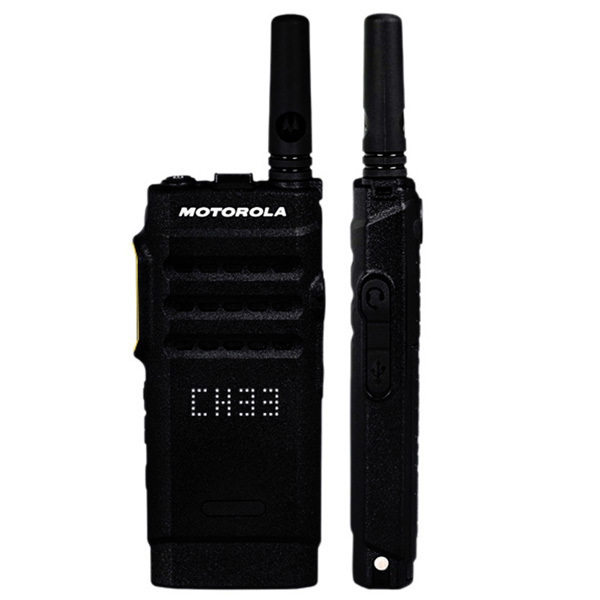 The MOTOTRBO DP2000e Series is a family of ETSI DMR Standards compliant digital radios that delivers operation-critical voice communications. 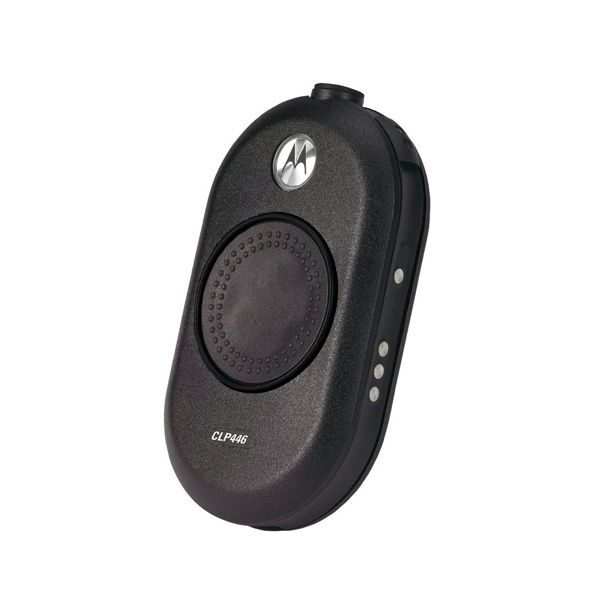 With a single button push, workers can communicate for greater efficiency and enhanced safety. With support for trunking, as well as legacy analogue technology, you can keep your organisation connected as it grows. With new noise cancellation technology and improved clarity, the DP2000e Series delivers excellent audio quality to make your workplace communications clearly intelligible. The latest energy technology delivers up to 28 hours of battery life for 3-shift working, and the optional IMPRES Over-the-Air Battery Management tool helps you maximize battery lifetime. An improved receiver boosts range by up to 8%, allowing you to reach further than ever. The DP2000e Series is designed to enhance safety in your organisation, with the rapid response capability of instantaneous push-to-talk communications. Even if a worker is unresponsive, you can remotely activate the radio to check status, ensuring your worker is safe. Privacy options are available to prevent others listening in on your communications, and radios can be remotely disabled if they are misplaced or stolen. New TIA4950 certified models are available for use in hazardous locations where flammable or explosive materials are present. With new noise cancellation technology and improved clarity, the DP2400e radio delivers excellent audio quality to make your workplace communications clearly intelligible. The latest energy technology delivers up to 28 hours of battery life for 3-shift working. An improved receiver boosts range by up to 8%, allowing you to reach further than ever. The DP2000e Series is designed to enhance safety in your organisation, with the rapid response capability of instantaneous push-to-talk communications. Even if a worker is unresponsive, you can remotely activate the radio to check status, ensuring your worker is safe. Privacy options are available to prevent others listening in on your communications, and radios can be remotely disabled if they are misplaced or stolen. You can also choose the analogue-only DP1400 model, which gives you great voice communications today, with a path to crisp and clear digital voice communications when you’re ready. All you will need is a simple software upgrade. Whatever your needs, the DP1400 provides a simple, reliable, cost-effective communication solution to help work crews connect, coordinate and collaborate to get the job done right. Improve the efficiency of your operation with easy-to-use voice communication that’s right for you. Simple and affordable, the DP1400 portable two-wayanalogue radio connects your workforce efficiently—and has the flexibility to grow with your business. By combining the best of two-way radio functionality with the latest technology, the DP1400 is perfect for the everyday user who wants to stay connected. The DP1400 has superior audio quality, outstanding coverage, long-lasting battery life and more. This analogue-only DP1400 model, gives you great voice communications today, with a path to crisp and clear digital voice communications when you’re ready. All you will need is a simple software upgrade. CLP combines comfort, durability and simplicity in a sleek design. Designed for the retail and hospitality markets, CLP446 operates on 8 channels with a choice of 219 codes for increased privacy and reduced interference. This palm-sized device redefines the traditional two-way radio by including only essential elements. An embedded antenna gives it a sleek shape. A large central push-to-talk button makes CLP easy to operate. And a variety of accessories offers multiple wearing options. CLP was designed with the user in mind, helping you communicate seamlessly and naturally in your business environment. Flexible choice of frequencies: Operates on 8 PMR446 channels. Smart Status Glow: Colour indicates active channel, radio transmit & receive, scan and battery status. Voice Assisted Operatio: Voice driven menu provides access to channel, monitor, scan and call tone. Long battery life: Rechargeable lithium ion batteries provide up to 14 hours of battery life. Headset: Earpiece is required and provides discreet communications. Antimicrobial Protection: Helps to prevent the growth of mould and germs on the surface of the radio. Voice Assisted Operation: Voice-driven menu provides access to channel, monitor, scan and call tone. Long battery life: Rechargeable lithium-ion batteries provide up to 14 hours of battery life. 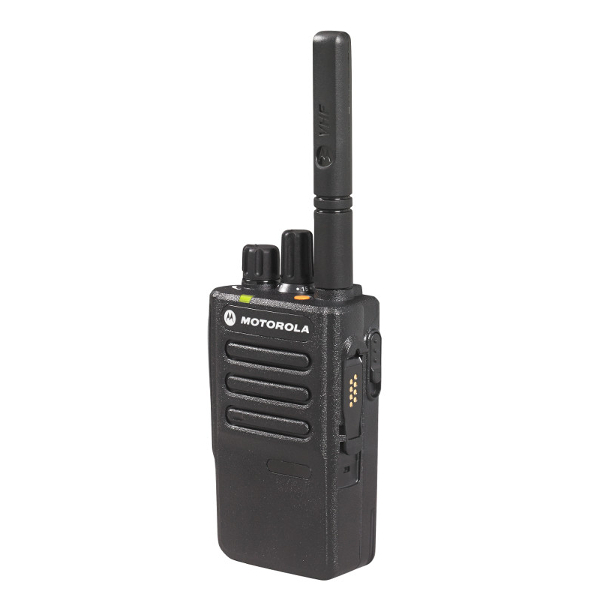 Motorola Solutions’ CLK446 two-way radio is the sleek device that clicks with your professional image and environment. Incredibly versatile, lightweight and comfortable to wear, it is unlike any portable radio you’ve used before. The CLK446 radio balances iconic design with excellent performance and everyday durability. With its slim profile, audio options and intuitive ergonomics, it is a simple yet powerful productivity tool. Now your staff can collaborate instantly, respond to customers quickly, and elevate service throughout your enterprise. Two models are available: the 8 channel, 0.5W CLK446 meets the requirements of PMR446 for unlicensed use, and the CLK446 PLUS offers high powered 1W output with 20 channel capacity and repeater capability. Extended Talk Range: CLK446 can communicate up to 7,400 square metres / 6 floors. CLK 446 PLUS is repeater compatible, allowing you to achieve even greater coverage. Actual coverage achieved depends on terrain and environmental conditions. Voice Announcement: Provides voice guidance to easily navigate through radio settings. Auto Power Off: Powers off automatically to conserve battery if no activity is detected for more than two hours. Call Tones: Choose between 3 different ring tones to identify who is calling. VOX: Enables voice operated transmissions providing hands-free operations. Customer Programming Software (CPS): Customise channel voice prompts and more by using the free Customer Programming Software. Long Battery Life: Delivers battery life up to 10 hours @0.5W (CLK446 PLUS gives up to 9 hours @1W) with 5/5/90 usage pattern. Actual time experienced may vary based on usage pattern. Antimicrobial Coating: Tough, polycarbonate housing contains built-in antimicrobial properties that inhibit the growth of bacteria and mould on the radio surfaces. Reliable and Durable: Designed and tested to meet Military Standards 810 C, D, E, F and G, including temperature shock, vibration, low temperatures and humidity.